Pampered Paws is now accepting Venmo & Zelle as payment options. Do I need a Venmo account to send money? Pay family and friends with Venmo accounts using a phone number or email. If they don’t have a Venmo account, they’ll just need to create one. … When you send money using your Venmo balance, bank account, debit card or prepaid card, we waive fees so it’s free. Our standard 3% fee applies to credit cards. Molly Burke, a blind social media influencer and inspirational speaker says that her guide dog Gallop is her “Tesla to your Toyota”. This is not meant to demean our furry friends but guide dogs are solely responsible for leading their owners through crowded sidewalks, around obstacles, and across busy streets. Guide dogs are not the only important service animals. Service dogs are assistance animals that aid humans who suffer from hearing impairments, mental disorders, seizures, diabetes and other ailments. If you see a service animal in public, it is important to remember that they are conducting a vital task. Stopping to pet or distract one of these animals can be extremely detrimental to the owner. 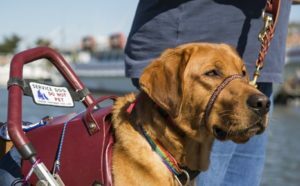 It should be evident that they are service animals by a printed collar or vest. As cute as they may be, they are working and it is important to not disturb these animals. Sunscreen and sunblock should be a staple of summer. But, our furry family is at just as much of a risk from the sun as us! Sunburns on dogs are similar to those on humans. Oftentimes, these consist of red, sensitive, cracked, or dry skin. 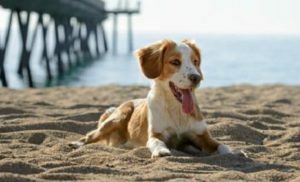 All dogs are at risk to sunburns but many, such as dalmations, pitbulls, and greyhounds are more susceptible considering their light colors and less protection from fur. A slight degree of sunburn on pets can cause discomfort, but severe cases may require veterinary treatment. If you suspect your pet could be suffering, make sure to contact a veterinary professional. If your dog will be outside for longer than 20 minutes, it is important to consider their access to shade. Always make sure that they have the option to stay cool with sufficient protection and water. As we have sunscreen, many similar products also exist for our animals! Make sure to utilize products for dogs as human sunscreen can be an irritant. Many places such as the nose are extremely vulnerable but products can be licked off or consumed here so all-natural and safe products are highly recommended. If you are taking your dogs on walks this summer, take into consideration the temperature of the asphalt. 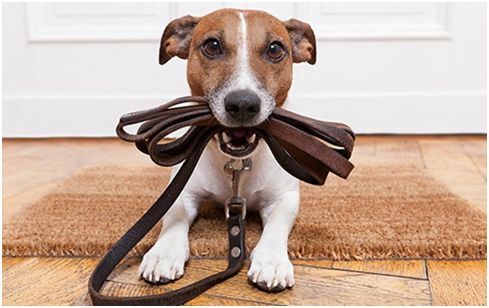 There are many protections that can be used to minimize the risks of these surfaces such as PawSoother and PawTection. Keep an eye on the pads of your furry friend to make sure they are staying healthy and happy this summer! Pica is the general term for the disorder of eating objects that are not food items. Many dogs exhibit pica in grazing on our lawns or plants. This behavior is mostly agreed upon by veterinarians to be not harmful, but the exact cause is unknown. Some professionals propose that it is the pet’s conscious reaction to an illness, but this is not widely accepted. In contrast, it is most likely that our pets eat grass out of boredom. 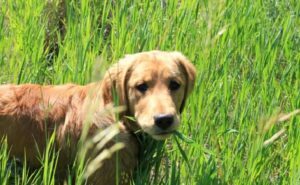 If you want to stop your dog from destroying your lawn, it could be beneficial to engage them in another form of exercise outside such as Frisbee or fetch. This would also be great bonding time with your dog! Other professionals suggest that pica is a behavior resulting from nutritional deficiencies. If you don’t believe your pet is consuming other materials out of boredom, be sure to check with a veterinary professional to see if another food source could be more suited for your pet. Additionally, if your yard is treated with herbicides, pesticides, or any other chemicals it is important to monitor your pets outside because they can be quite toxic, especially if ingested. Similarly, some plants can be toxic to animals as well. To make sure the plants that your pets are around are safe, check the ASPCA’s Animal Poison Control web site. What are the Most Effective Ways to Break Up a Dog Fight? Body language is used by our pets as much as in humans. 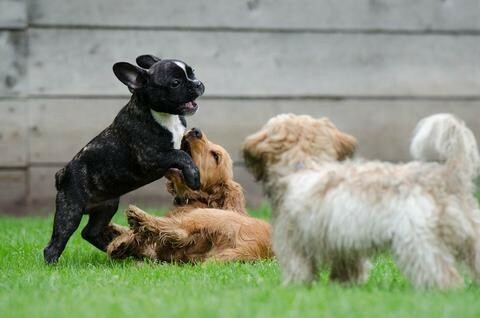 While around other dogs, make sure to pay attention to their communication. Oftentimes, a stiff body, direct eye contact, and dilated pupils can indicate aggression towards another dog. 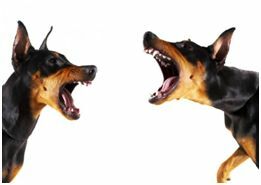 If you witness your dog or believe them to be showing this aggressive manner, it is important to remain calm. By preventing panic, you will be much more effective in preventing or stopping fighting dogs. If possible, preventing the dogs fighting is the most desired outcome. It is often recommended to distract the dogs. Separating them with an object so that they cannot see each other before a fight can allow a diffusion of stress and an avoided altercation. Another possibility is throwing a towel or a large blanket over the dogs. Similarly, this method prevents the animals from seeing one another which will stop some dogs from fighting. It is also possible that spraying the pets with water can distract them enough to end the fight. If a fight does break out that involves your dog, and you cannot distract the animals, it is recommended that you physically separate them. Make sure to keep in mind that many dogs are powerful so it is important to assess the situation and the pets’ sizes to determine what level of protection you will need to separate them and stay safe. If separating the dogs, it is best to remove them at the same time by using the top of the hind legs. Grabbing them on the lower hind legs risks serious injury. Once separated, it is important to keep the dogs from seeing one another so removal of one or both dogs is the best course of action. Anthony DeVingo, owner of Ever Green Landscape Management says that, “In Georgia, you’re only about 10 feet away from a snake at any given time.” Luckily, this is not a bad thing! Most of these snakes are harmless and can even be helpful. Rat snakes and corn snakes are extremely common but have no interest in harming you or your pet. Copperheads are the exception. While they are not likely to seek out and attack your pet, there have been increasingly prevalent cases of bitten companions. A bite may cause only swelling or pain in humans, but can be deadly in pets. The size of the bitten animal is extremely important. The smaller the pet, the more critical the situation. 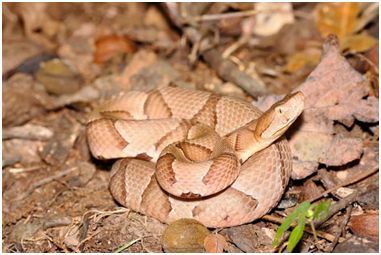 If your pet experiences a copperhead bite, it is most important to get them immediately to a veterinarian who will be qualified to assess the situation and determine if the animal requires anti venom or other treatment. If in this situation, call ahead to the practice so you can be redirected if no anti venom is on hand at that office. If more than one person is present to care for the animal on the way to the veterinarian, it is recommended that they keep the animal calm to prevent a rapid heart rate that could transport venom quickly. A trained veterinarian will be able to help your pet best. Why Does My Dog… Lick and Chew His Feet? Plenty of owners observe this common behavior in their dogs and wonder if they should be concerned. In some cases, dogs will gently but insistently lick one or both paws, but other canines will go so far as to chew on their toes, which can be disconcerting for any pet owner. The short answer is yes. You should always consult with your vet about this behavior, especially if it comes on suddenly, persists for long periods of time, or is accompanied by redness, swelling, odor, bleeding, limping or other possible signs of pain and infection. Although most dogs engage in this behavior occasionally for unknown reasons, others are prone to lick or chew their feet excessively. In these cases, the feet (especially of light-colored dogs) will often look stained a pink or rusty color, which is the result of chronic contact with porphyrin pigments found in saliva. 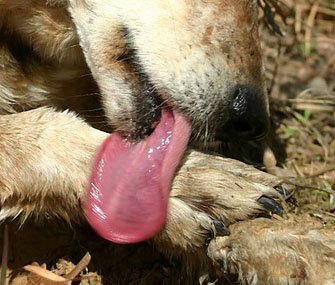 There are a variety of reasons why your dog would suddenly lick or chew his feet, including puncture wounds to the toes or paw pads, fractured claws or toes, burns, corns (especially common in Greyhounds), and foreign bodies that may be lodged between the toes, such as ticks, grass awns and burrs. Canines will also engage in this behavior due to other, more serious causes, such as interdigital cysts, tumors and other cancers, allergic skin disease and autoimmune diseases of the nail beds or paw pads. Allergic skin disease is the most common reason why canines lick and chew their feet on a chronic basis. Food allergies, in particular, are typically the culprit, and secondary infections from yeast and bacteria can further exacerbate the behavior. Many dogs who lick and chew their feet over long periods of time will also do so because it apparently feels good to them. In these cases, vets look for an underlying nonbehavioral disease that may have initially triggered the obsessive behavior. 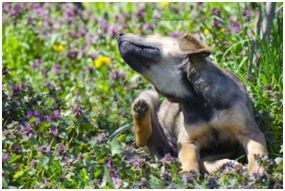 For example, dogs with lick granulomas — wounds caused by obsessive licking of the tops of the feet and lower limbs — may have been initially drawn to lick the area because of an injury, simple itch or a reaction to an allergen. Regardless of the cause, if you notice that your dog is licking or chewing his paws, seek veterinary advice, especially since most of these cases are treatable if addressed by a professional early.